This item is selling for $85.00 on eBay. 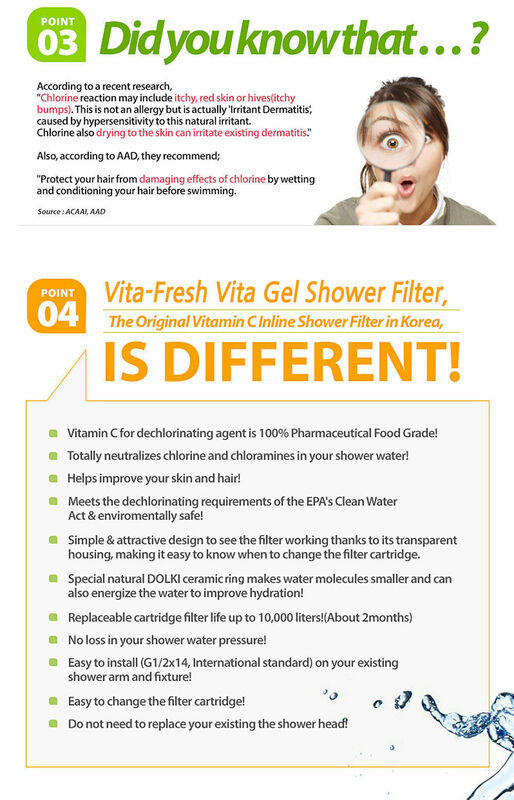 *Employed new developed Vitamin C Gel Cartridge that bigger than Vita-Fresh original model. 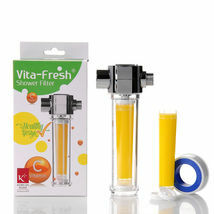 *Long lasting cartridge than Vita-Fresh original. Using Vitamin C as de-chlorinating agent is 100% pharmaceutical food grade. *Totally neutralizes chlorine and chloramines in your shower water. 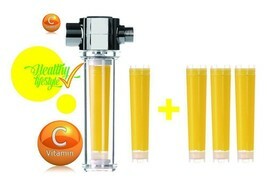 *Helps improve the condition of the skin and texture of hair. 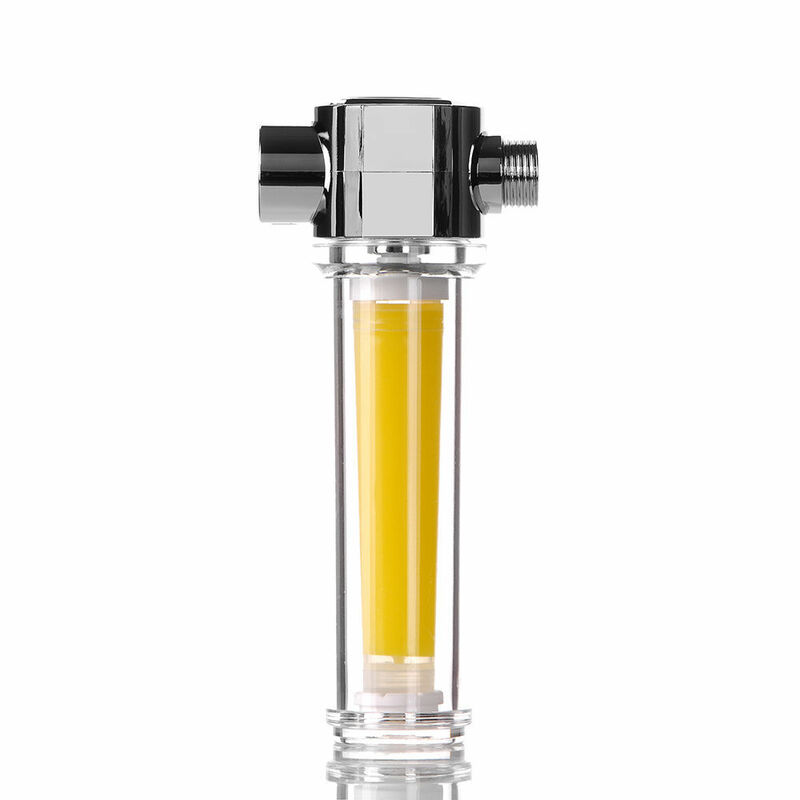 *Meets the dechlorinating requirements of the EPA’s Clean Water Act & environmentally safe. 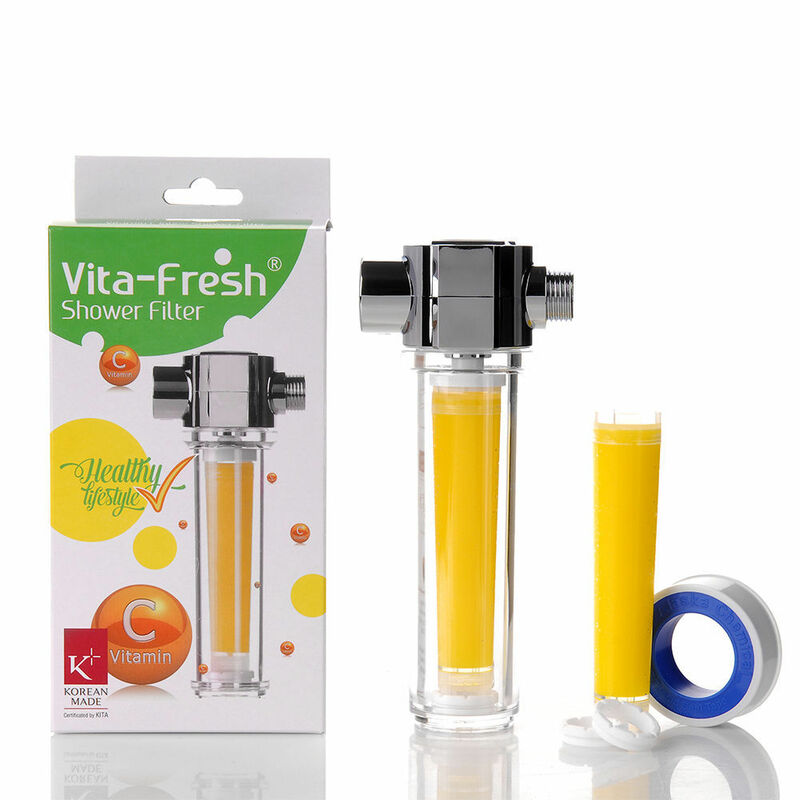 *Simple attractive design to see the filter working thanks to its transparent housing, making it easy to know when have to change the filter cartridge. 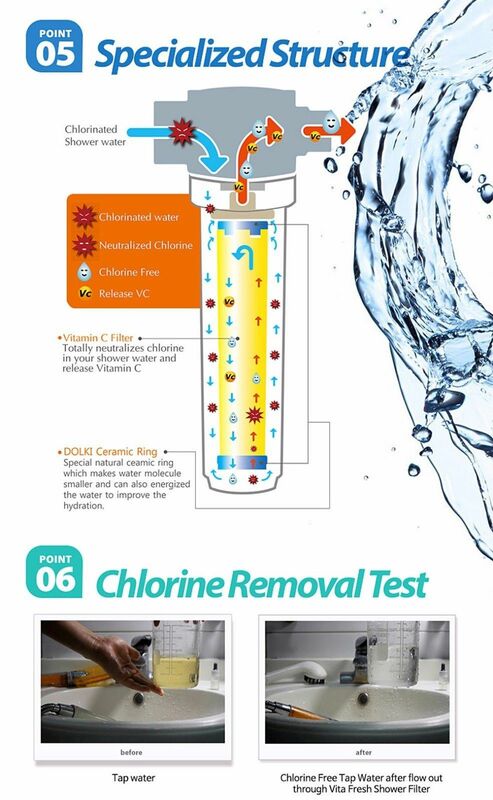 *Special natural DOLKI ceramic ring makes water molecules smaller and can also energize the water to improve hydration. 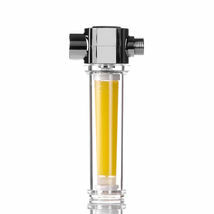 *Replaceable cartridge filter life up to 1~3 months per cartridge. 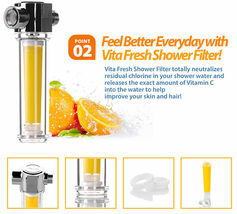 *Easy to install (G1/2x14, International standard) on your existing shower arm and fixture. 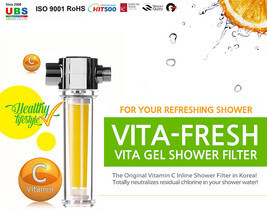 c gel cartridge and provide long lasting than Vita-Fresh (Model: Original). condition of the skin and texture of hair. 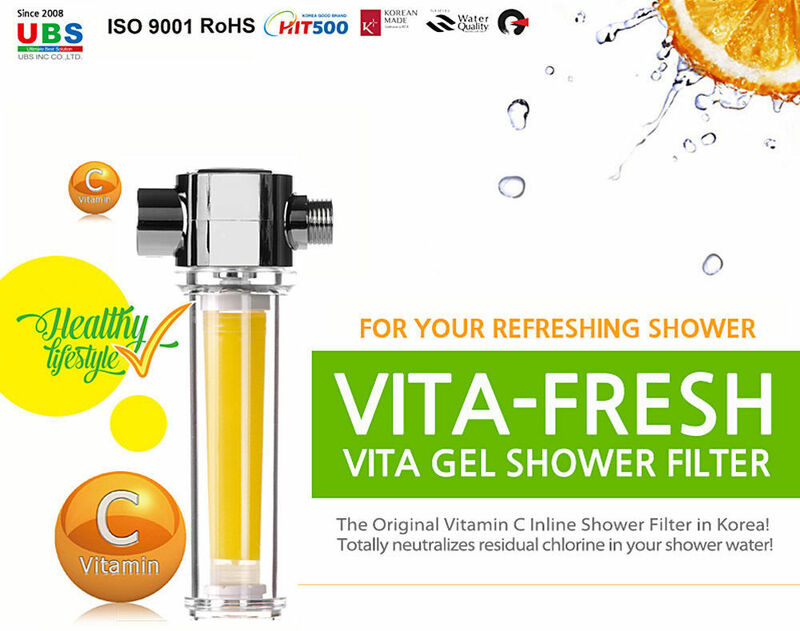 Vita-Fresh Shower Filter (Model: Vita Gel) is brand new and employed new developed vitamin c gel refill filter and provide long lasting than Vita-Fresh (Model: Original). and clean without chlorine in your shower water.